UPDATE (5:51P ET): Dispatch audio says there were multiple gunshots and three possible getaway cars in what looks like a drive by shooting. Broward Co. Sheriff's Dept. says XXXTentacion has been pronounced dead after being rushed to a hospital. Our condolences to the rapper's friends and family at this time. Reports are coming in saying rapper XXXTentacion has been shot in Miami. 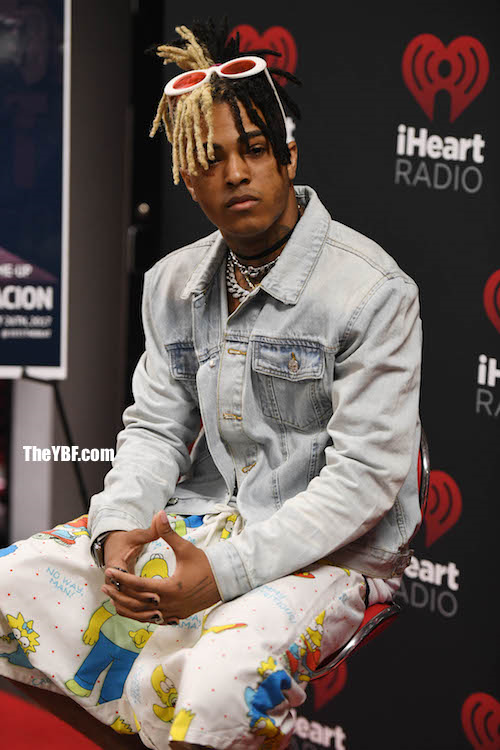 According to TMZ, the 20-year-old, whose real name is Jahseh Onfroy, was reportedly shopping for motorcycles in South Florida and things took an unfortunate turn while he was leaving. When he left the motorcycle dealer, it's reported a gunman pulled up on him while he was in his vehicle and shot him. No word on his condition, although unconfirmed sources are reporting the news is not great. He's been in a drama leading up to today. Back in November 2017, he got into a scuffle with folks from the Migos' entourage. They ended up hashing it out afterwards once footage was leaked online. He's also had some run ins with the law. He's currently awaiting trial for a domestic violence case brought against him by his then-pregnant girlfriend. He was charged with aggravated battery of a pregnant woman, domestic assault by strangulation, false imprisonment and witness-tampering. The Florida native ended up getting arrested in December 2017 for violating his bond conditions stemming from his 2016 domestic violence case and then he was hit with MORE charges. According to reports, he was hit with seven new felony charges on top of the ones he already had. He was ordered to do house arrest, but a judge eventually released him to let him tour. Definitely sad and senseless news. Prayers up that he pulls through.